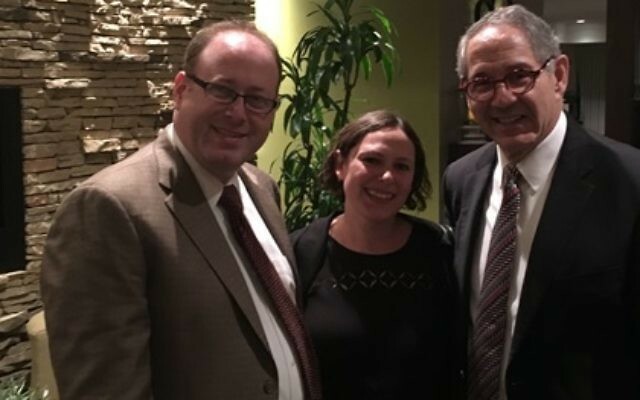 Congregation Dor Tamid installed Jordan Ottenstein as their new senior rabbi on Nov. 10. Congregation Dor Tamid installed its new senior rabbi, Jordan Ottenstein, during Friday services Nov. 10. 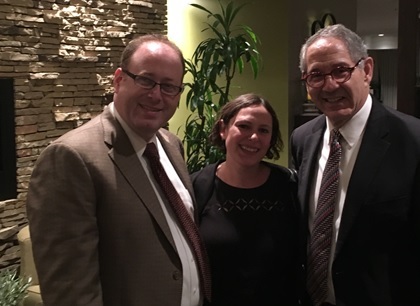 Rabbi Ken Kanter, the associate dean and director of the Rabbinical School at Hebrew Union College-Jewish Institute of Religion in Cincinnati, officiated at the installation, which was also attended by Temple Emanu-El’s new rabbis, Max Miller and Rachael Miller. “It was a very moving service to watch as Rabbi Jordan was installed by his mentor and friend. The level of respect and admiration was evident,” Dor Tamid President Rob Lederman said. At a celebration held the next night at the Metropolitan Club in Alpharetta, Rabbi Kanter spoke and paid homage to the Jews of Broadway. Attendees sang along to Broadway standards. Dor Tamid has been a hub of activity since Rabbi Ottenstein arrived in Johns Creek in July from Beth-El Congregation in Fort Worth, Texas. He replaced Rabbi David Katz, who served in an interim role during the Reform congregation’s rabbinic search. Rabbi Ottenstein and his wife, Marni Phon, have two sons, Noah, 6, and Kaden, 2. “Everyone in the community has been very welcoming, and we look forward to making our home here in Georgia,” Phon said.